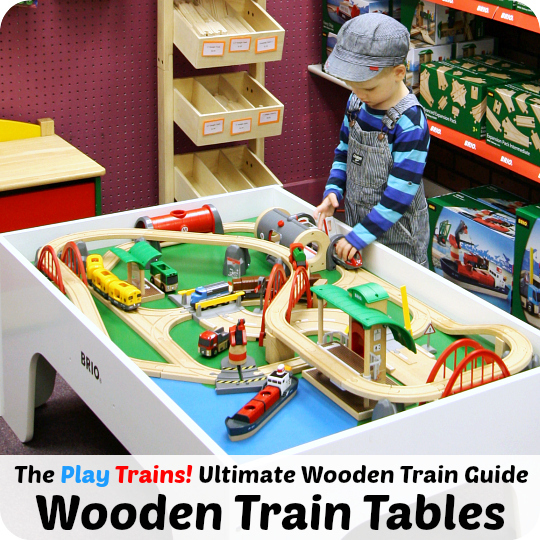 Toddlerhood is often the time when children receive their first ever train set. But it’s also a time when — between choking hazards and fine motor development — they’re too young for many of the train sets that seem to be absolutely made for them, especially wooden train sets. Fortunately, over the years I’ve found a number of train sets that are rated as safe for one- and two-year-olds. 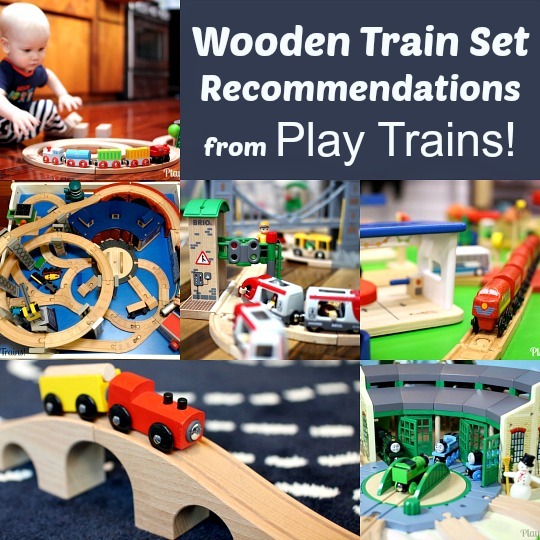 I have some favorite ones I happily recommend as the best train sets for toddlers. BRIO My First Railway Wooden Train Sets: BRIO is now making some great wooden train sets with a lot of excellent safety features for toddlers 18 months and older. 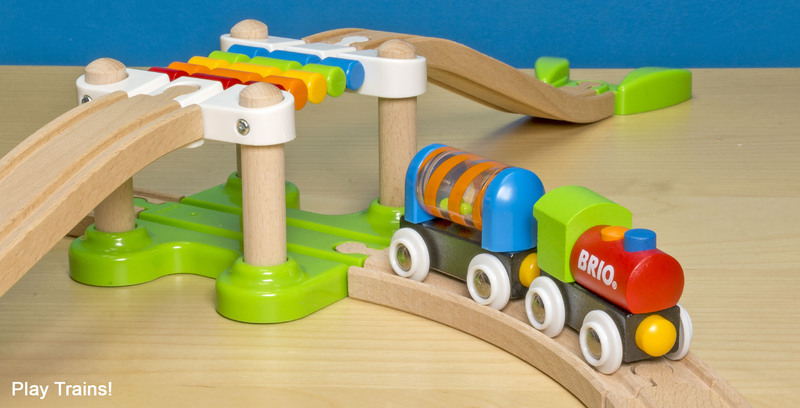 I would either go with the BRIO My First Railway Beginner Pack with its fun rainbow train bridge or with the BRIO My First Railway Battery Train Set and its easy-to-use battery-operated engine is likely your best choice if you want a powered train for a young toddler. 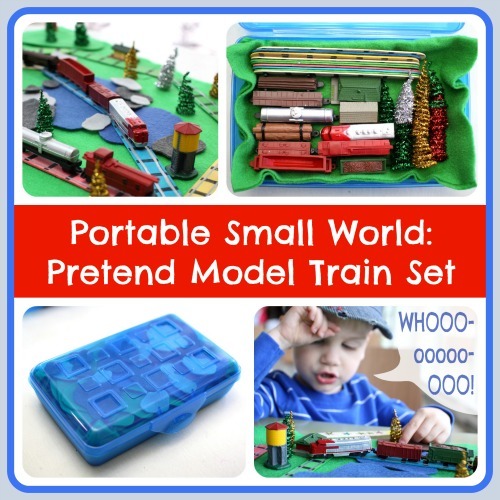 If you need something to take on the go, check out the BRIO My First Railway Take Along Set. 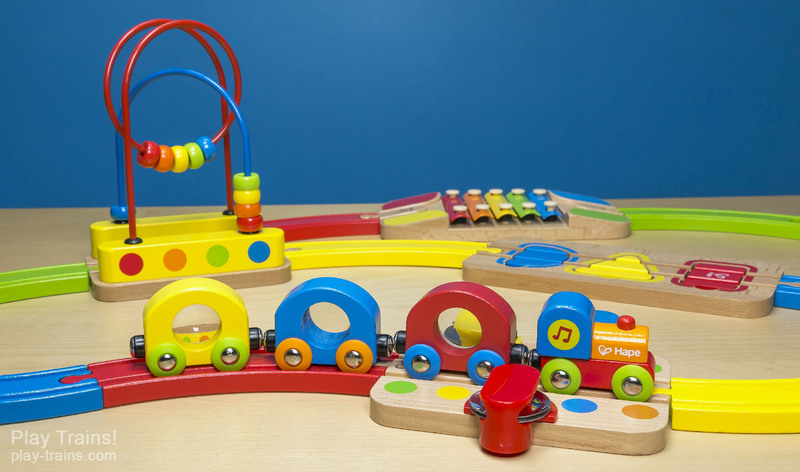 Hape Musical Rainbow Railway Train Set: Hape is also making a great wooden train set rated for 18 months and up. 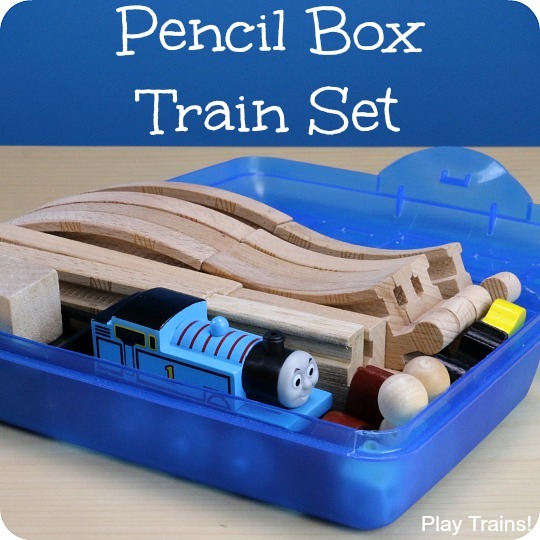 This one blends a train set with a wide range of musical and sensory toddler toys, so it’s a wonderful set if you’re not looking for a realistic train set and would like to get a lot for your money. LEGO DUPLO My First Number Train: We have the previous version of this DUPLO train, and it’s fun on its own and a great way to inexpensively add more train/car wheeled bases to your DUPLO collection. We loved it, but I’m so happy to see that they added a zero block! That drove me nuts. My First Thomas & Friends Railway Pals: If you’re looking for a Thomas set for this age group, and don’t mind plastic and noise in toddler’s toys, I’d take a look at these, because right now there’s not much going on in the wooden train world for Thomas. The Little Engineer insisted we get them to try out and, after watching him have fun put them together for me and even play with them a bit, I have to say that they were kind of fun. I like that the plastic tracks could be built in all sorts of different arrangements. You can choose between the My First Thomas & Friends Railway Pals Rescue Tower Train Set (smallish set that comes with Thomas) or the My First Thomas & Friends Railway Pals Destination Discovery Train Set (larger set, but with Percy, not Thomas). Brio Pull-Along Engine: This isn’t exactly a train set, but I wanted to throw this in here because it’s such a lovely, solidly-built toy and it rolls like a dream over the floor. At this age, the Little Engineer loved running all over the house with his pull zebras. I can just imagine how much he would’ve loved having a pull steam engine to follow him everywhere! 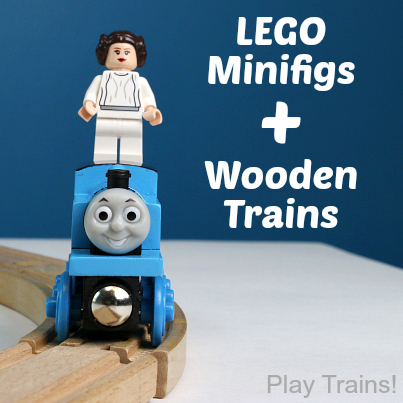 LEGO DUPLO Train Sets with Tracks: We really loved our DUPLO train set (we have this one, which is still available it seems), and it looks like they have some cool new ones out this year, the LEGO DUPLO Cargo Train and the LEGO DUPLO Steam Train. They seem to have a lot of new interactive technology involved, and I’m excited to try them out as soon as I can get my hands on them. 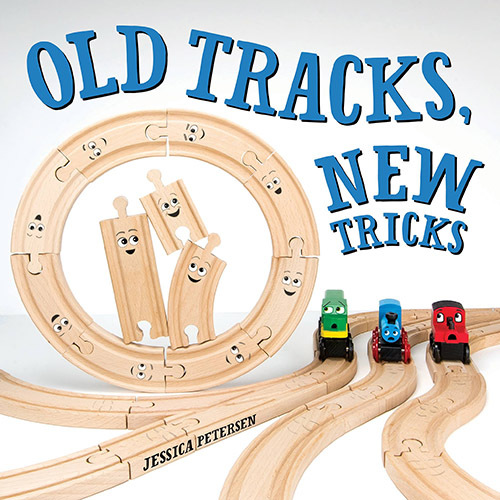 Melissa & Doug Stacking Train: This is a classic toy, and we enjoyed ours a lot. 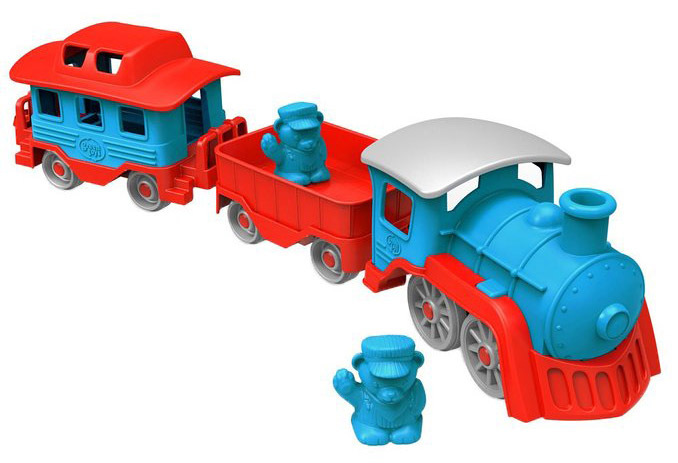 Green Toys Trains: We love this chunky blue and red train! It’s made out of recycled milk jugs. It’s dishwasher safe, so you can serve a special breakfast by train! And it’s big enough to hold lots of other types of toys. In fact, this is the train I got for my little niece when I gleefully chose a first train set to give her. It looks like they also now make a red and green train — perfect for Christmas! 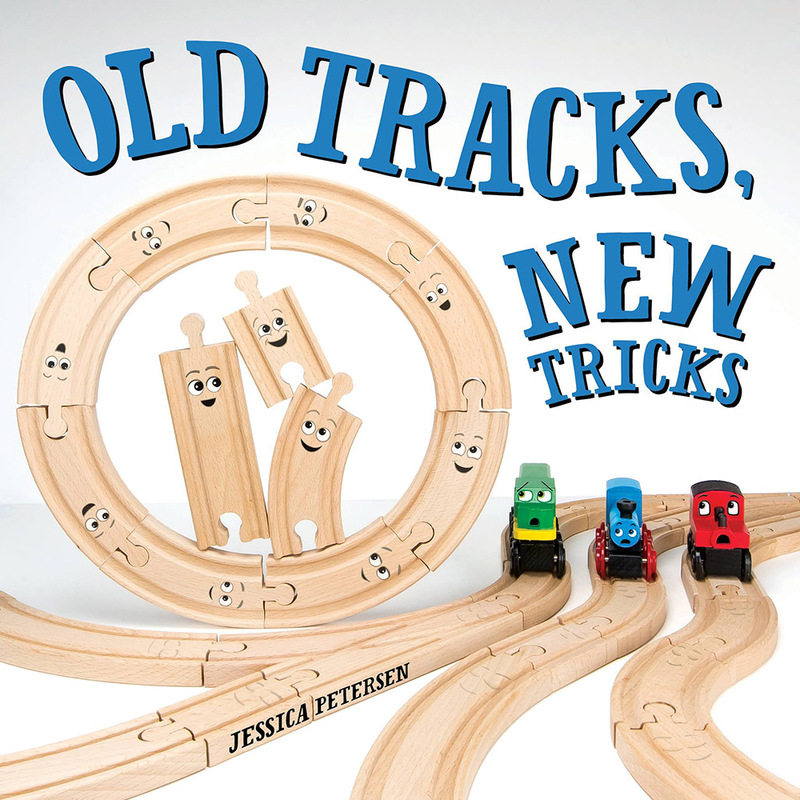 If you’re looking to encourage your little engineer to play creatively, you have to check out my picture book, Old Tracks, New Tricks. 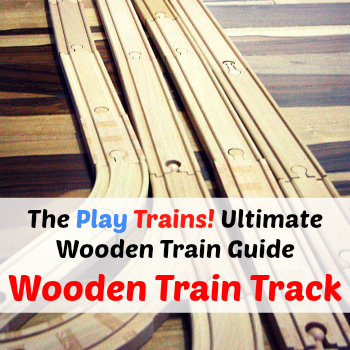 With over 2o new ways to play with your toy trains and tracks, this fun rhyming story has been inspiring train-loving kids all over the world to play in new, inventive ways! It makes the perfect addition to any train set. 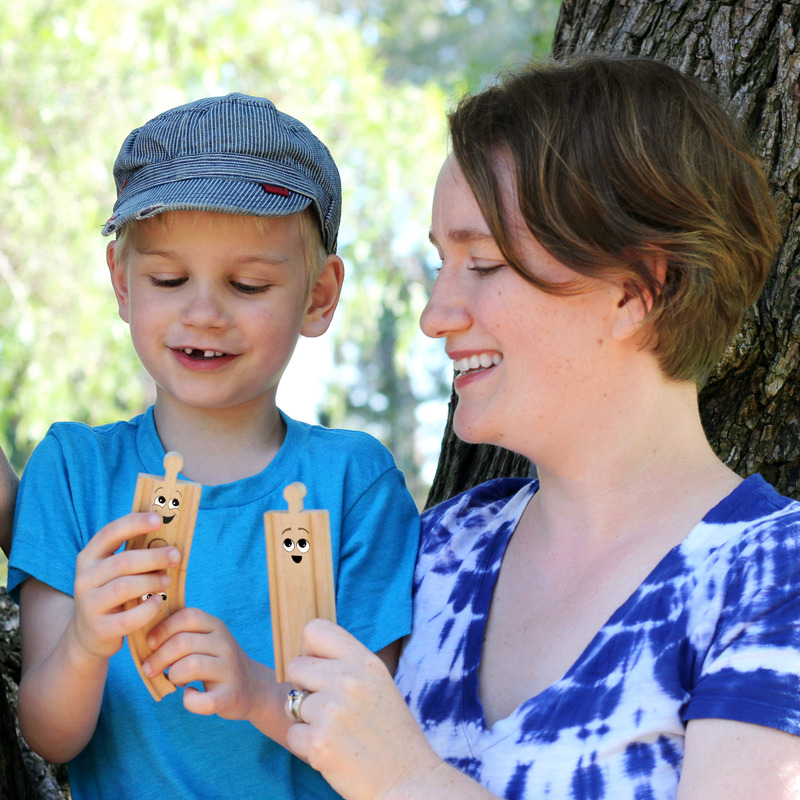 We’re pleased to be a part of the Kid Blogger Network’s Holiday Gift Guide once again this year. Make sure to check out all of the other helpful gift guides!